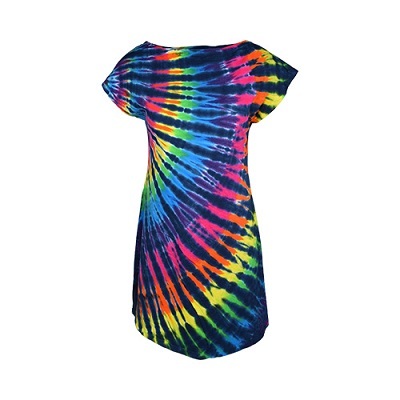 These mini t-shirt sundresses are made of 100% pre-shrunk cotton and hand dyed in the USA. They feature a scoop neck and are totally reversible. 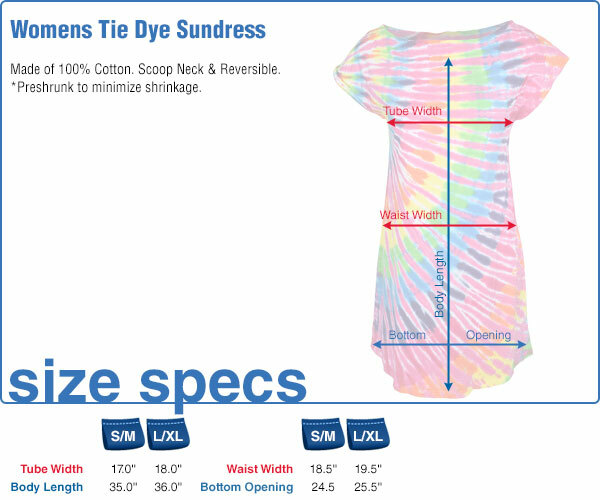 Available in 2 sizes S/M and L/XL (see size chart). Great for wearing at a fest!